The popularity of electric bikes or e-bikes has increased drastically in the last couple of years. More and more people use this transportation method to get to shops, workplace or home quicker and with less effort. One of the most important components of an e-bike is the battery as this element dictates its speed and range. Since e-bikes are quite different one from the other, their batteries are also different too. Finding the best battery solution is essential to maximize the speed and range of a particular e-bike. There are several types of integrated ebike batteries one can use to power his electric bike. They have different pros and cons and are priced differently. Here are the most important ones. Lead-acid batteries(SLA) – these are some the most popular types of batteries and they are commonly used worldwide. Although they are very cheap, they don’t last much, weigh up to three times more than lithium-ion batteries and are quite sensitive to external factors. Nickel-cadmium batteries– these batteries hold more power than lead-acid batteries, but they are more difficult to dispose of safely and are also very sensitive. As a result, every battery supplieris trying to eliminate them from their product list and offer more environmentally-friendly and efficient options such as lithium-ion batteries. Lithium-ion batteries – one of the most popular types of e-bike batteryconsists of lithium-ion batteries which can be found virtually anywhere – in a smartphone, tablet, smartwatch, portable speaker, etc. These batteries hold the most power, are less heavy, can be fitted to almost any device, and are increasingly cheaper. As a drawback, lithium-ion batteries need to be properly packaged and controlled by integrated circuits to prevent overheating and fire. However, most e-bike battery suppliers take the required safety precautions to design a safe, high-quality lithium-ion battery which can be used on every e-bike. To determine what type of custom e-bike battery is required for a particular electric bike model, one should first learn the main characteristics of a lithium-ion e-bike battery. 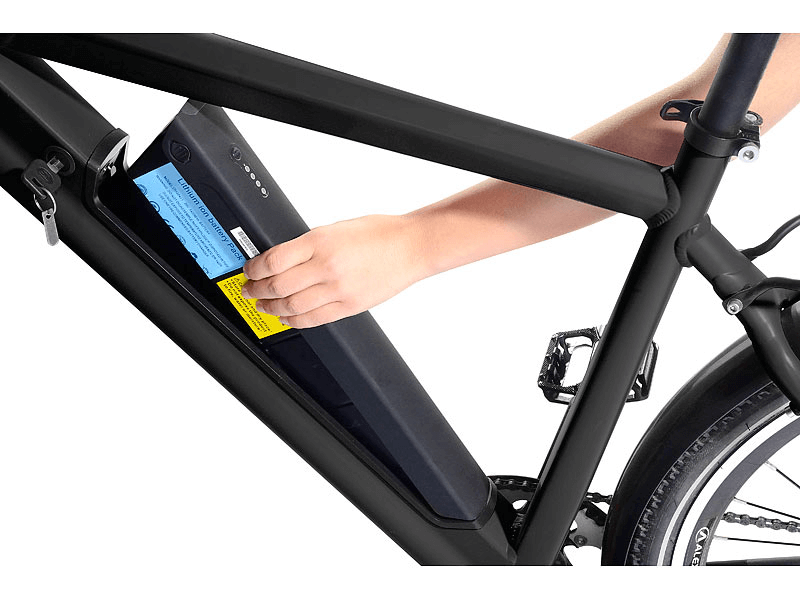 Each e-bike battery features a certain number of volts and amps such as 24 volts and 10 amps, etc. These numbers represent the electrical power of the battery. The number of volts is usually associated with actual power (or horsepower), so the more volts, the greater weight an e-bike battery can pull and the faster it can go. Companies which look for batteries for e-bikes and are interested in power above everything else should ask for custom batteries featuring a high voltage such as 48V or even 52V. On the other hand, the number of amps (or ampers) is usually associated with range, so the more it has, the greater distance an e-bike can travel. Companies which are interested in providing the longest range for their e-bike line should ask for a custom battery with high amperage such as 16 amps or 20 amps. It is important to mention here that if a battery has a high voltage and amperage, it might also be heavier and larger. E-bike companies need to find the perfect balance between size/power before working with a battery manufacturer to design a custom e-bike battery. This one is self-explanatory, it represents how many times a battery can be completely charged throughout its lifetime. Most batteries can be charged up to 500 times, but other models can be engineered to sustain up to 1,000 cycles. Most e-bike batteries can be crafted to function efficiently at a charging temperature between 0 degree Celsius and 45 degree Celsius (32-113 degree Fahrenheit). The discharge operating temperature can be between -20 degree Celsius and 60 degree Celsius (-4 to 140 degree Fahrenheit). Batteries can be crafted to resist in various weather conditions and this should be specifically mentioned by the inquiring e-bike company. The size and weight of an e-bike battery are also important. Ideally, e-bike batteries should be as light and small as possible while packing the most electric power. 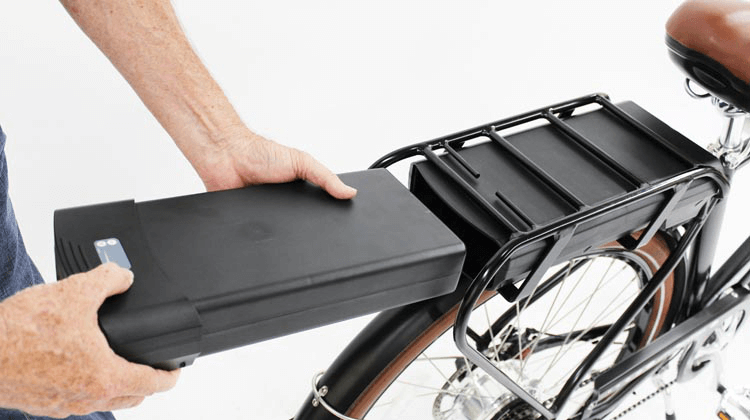 For example, most e-bike batteries can weigh about 3.7 kilograms or 8 pounds. Larger models can increase the range and speed of the e-bike, so if a manufacturer is interested in providing the fastest electric bikes on the market, it might need a bigger e-bike battery. The material from which the e-bike battery is made is also important. Most models are made using aluminum alloy because this type of material is light and durable. However, e-bike battery manufacturers also offer other casing options such as plastic or ceramic. When it comes to color, most batteries are black, but custom colors can be ordered as well. Making a brand new battery from scratch is not an easy task, but not an impossible one either. E-bike companies should work with specialized firms run by experts with years of experience when it comes to developing batteries. As mentioned earlier, it is paramount to make lithium-ion batteries as safe as possible, to prevent overheating and even fires. First of all, e-bike companies should contact research and development teams and give them more details about their needs. Knowing the specifics of the e-bike which is going to use the battery is important, so providing as many details as possible is the right thing to do. These details include the desired speed of the e-bike, range, overall weight, shape of the battery as well as cycle times. Today’s battery makers use sophisticated computer systems and design techniques to envision the new battery and give it a rough outline. At the request of the e-bike company, they can make the battery completely waterproof. This prevents the battery from developing electrical problems if one rides his e-bike through the rain. Once the design and shape of the battery are established, the professionals will work on integrated circuits and delicate electronics to ensure the safety of the new battery model. Using state-of-the-art 3D designing tools, experts can come up with a brand new battery in a matter of weeks. Most e-bike batteries can also be equipped with a Deep Sleep function which helps conserving power and makes the battery run more efficiently. Today’s lithium-ion batteries also come up with a plethora of safety systems which prevent overcharge, overheating, short circuits, excessive discharge, and other types of unwanted electrical faults. This is one of the most important stages in the manufacturing process. 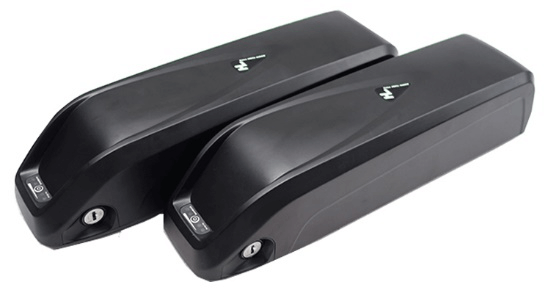 These protection systems make the battery safe to use for years and give more peace of mind to the customer who eventually buys the e-bike and uses it regularly. After the electronics have been designed and put into place, it is time to find good casings for the battery as well as figuring out its final color. The experts work closely with the staff of an e-bike company to come up with an accurate casing that fits an electric bike perfectly. Most casing materials include aluminum alloy, plastic or ceramic. When it comes to choosing the color, there are usually two options – use a neutral color for the battery (black, for example), or making it match the overall color of the e-bike, for a seamless design. The e-bike company which requested the manufacturing of the battery can have a final word here. The color options for a custom e-bike battery include but are not limited to red, blue, yellow, orange, purple and green. When the battery is ready, it will be tested in various weather conditions, at various speeds and for different periods of times. The testing procedure is extremely thorough, pushing the e-bike battery to the limits to ensure that it can handle any real-life situation with ease. If certain scenarios make the battery behave improperly, the specialists go back to the drawing board to improve the e-bike battery. Once the battery has passed the final tests at the factory, it is delivered to the e-bike company for additional testing and eventually put into production. Professional battery manufacturers offer a warranty period of at least 12 months for each e-bike battery they make. This gives the customer an assurance that his investment is protected and builds trust with the e-bike company. Crafting a brand new battery from scratch is not an easy job, especially when there are a lot of safety protocols required for a proper design process such as BMS or Smart BMS as well as UART, CANBUS or SMBUS. It is paramount for an e-bike company to work with a professional battery manufacturer which can tailor its services according to the needs of its clients. At TLH battery, we specialize in lithium-ion batteries and custom battery packs for electric bikes. Our professionals have more than 10 years of experience in this industry and we go the extra mile to ensure that the batteries we make are safe to use in all weather conditions. We serve customers from countries such as Germany, France, Italy, USA, Canada, and more. If you are interested in a custom e-bike battery solution, contact us today and let our experts help you! How many lifecycles does the lithium-ion battery have? I know this site presents quality depending posts and extra data, is there any other web page which gives these things in quality?